4th of July Fun, Festivities, and Fireworks around Ohiopyle! Now that summer is officially here it’s time to start planning for the next holiday weekend. And there are a lot of fun and exciting things happening around the Fourth of July. Let’s start with some fun local events! Braddock’s Inn Flea Market will be taking place on Saturday and Sunday from 8am-4pm. The Mountain Area Fair starts on June 25th and will run until July 1st! There are a lot of great activities taking place ALL week. Nemacolin Woodlands will be hosting a Fourth of July Block Party Buffet and Kid’s Carnival on Sunday July 3rd starting at 5:30pm. The Fourth of July Parade will take place on Tuesday July 4th at 7pm. Be sure to get out on a white water rafting tour. 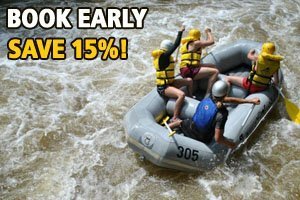 Fill a raft with 5 friends or family members any day Sunday through Friday and you raft for FREE! That’s 5 paying rafters with 1 freebie. OR Reserve a trip for 4 people and get 10% off! Some restrictions may apply. Mention promo code BLSO for this great deal. Reservations must be made and paid in full by July 9th. BOOK NOW or call 1-800-472-3846. How about some informative nature hikes and interpretive programs? Join in for one of Ohiopyle State Parks most popular programs. Learn about the misunderstood creatures of the night. 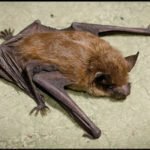 Enjoy a “batlike” activity and then watch a video on Pennsylvania Bats. There’s no guarantee that some of the rumors you may have heard about these amazing creatures will be dispelled! Meet at the Kentuck Campground Amphitheater. You will wind your way down to the bike trail from the Kentuck Campground amphitheater through an old stand of beech trees. This three mile loop will take you through moderately rough terrain. Along the way, discover some hidden treasures such as a waterfall and interesting rock formations. Sturdy footwear is recommended. Meet at the Kentuck Campground Amphitheater. Plan a visit to Fort Necessity National Battlefield for the anniversary of the Battle of Fort Necessity. For centuries people have gathered local plants and infused them with water to make tea. During this program you will be introduced you to some of these teas and let you try a taste. Park naturalists will also talk about the history of tea in general and how it has shaped many facets of our culture. Meet at the Ohiopyle Train Station. Did you know that a rhododendron can show the temperature on a cold day? 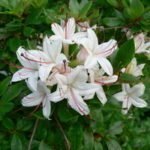 Join the park naturalist as you hike along Meadow Run among the flowering rhododendrons and learn many other interesting qualities of this beautiful shrub. Meet at the Meadow Run Trailhead Parking Lot. Fireflies are a sign that summer is here. Experience the magic of being surrounded by nature’s blinking lights. You will discover how they blink and why. You will play a firefly game and then go for a search of these magical critters. Meet at the Kentuck Campground Amphitheater. Saturday July 1 – 10pm: Mountain Area Fair at Farmington Volunteer Fire Department 119 Elliotsville Road, Farmington, PA.
Sunday July 2 – 9pm: Nemacolin Woodlands Caddyshack Restaurant 1001 LaFayette Dr, Farmington, PA.
Monday July 3 – 9:30pm: Seven Springs Mountain Resort Bavarian Beach 777 Waterwheel Dr, Seven Springs, PA.
Tuesday July 4 – 9pm: Nemacolin Woodlands Caddyshack Restaurant 1001 LaFayette Dr, Farmington, PA.